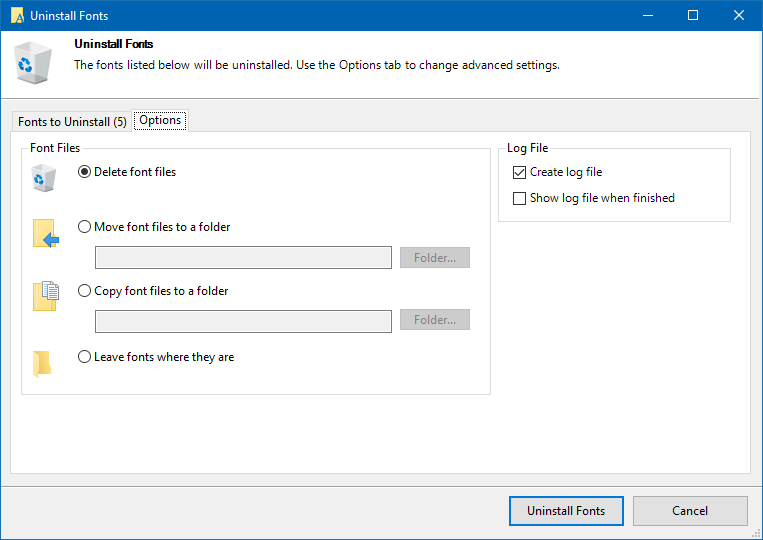 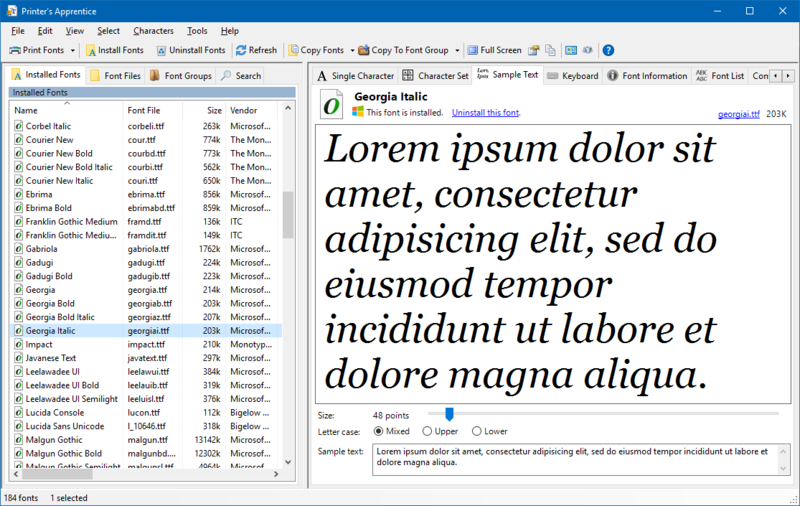 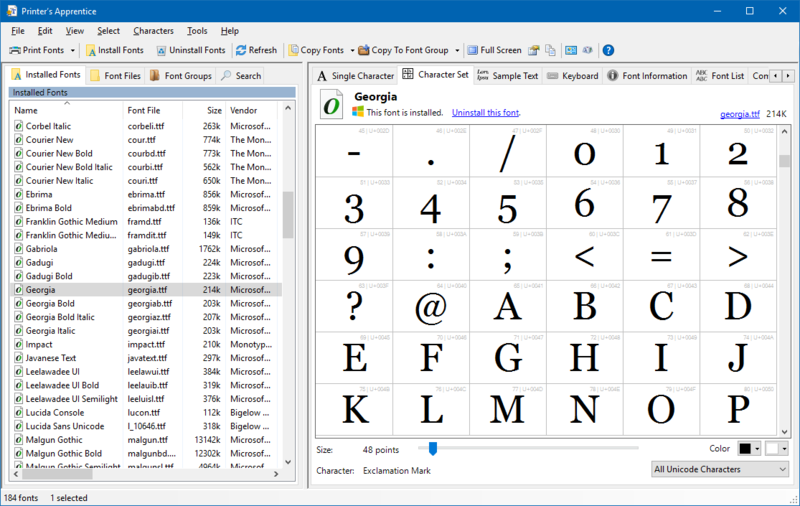 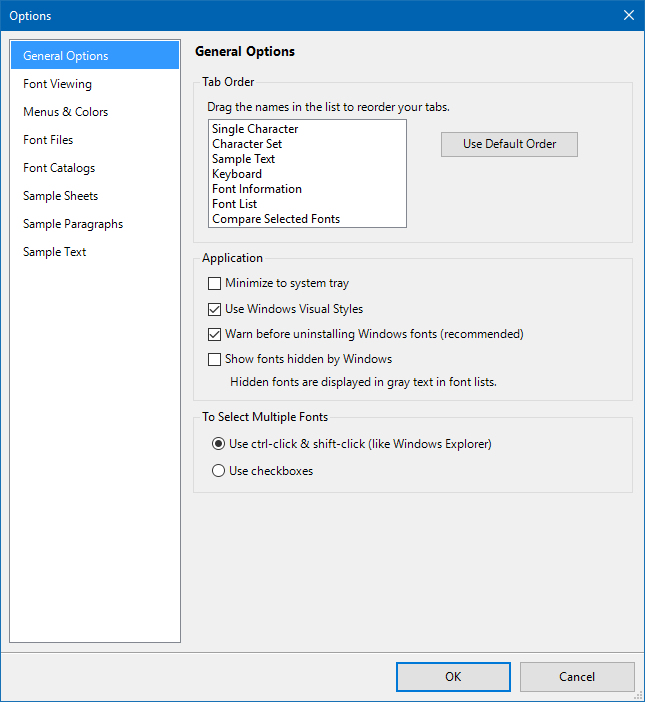 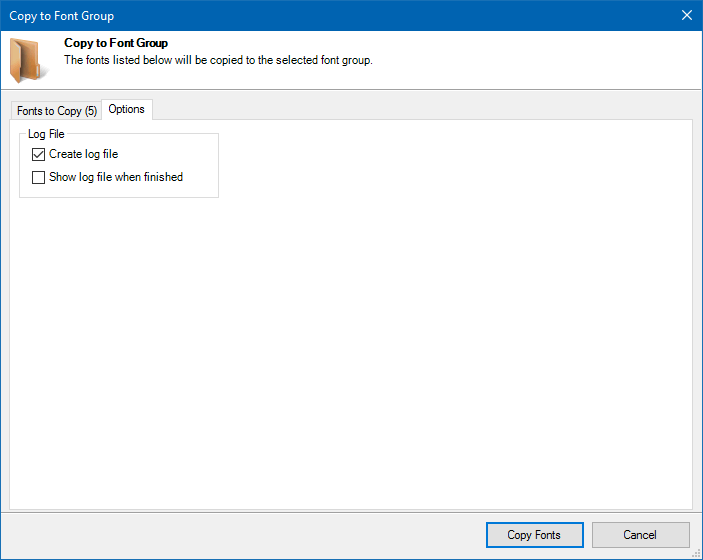 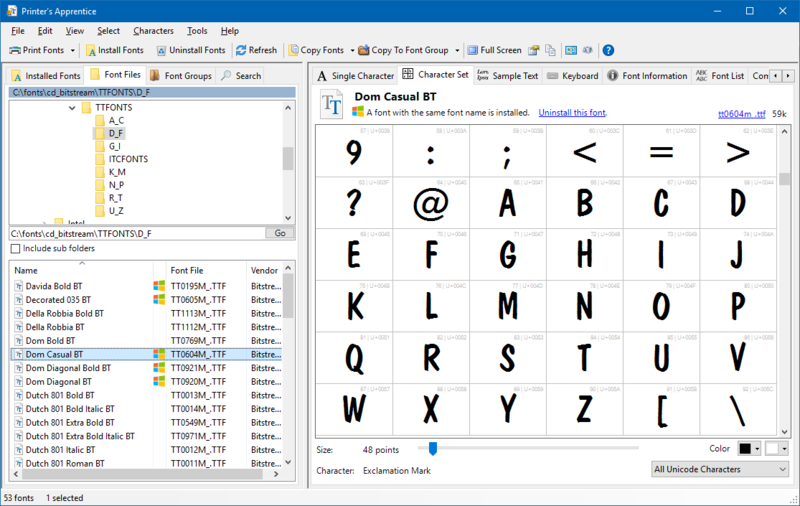 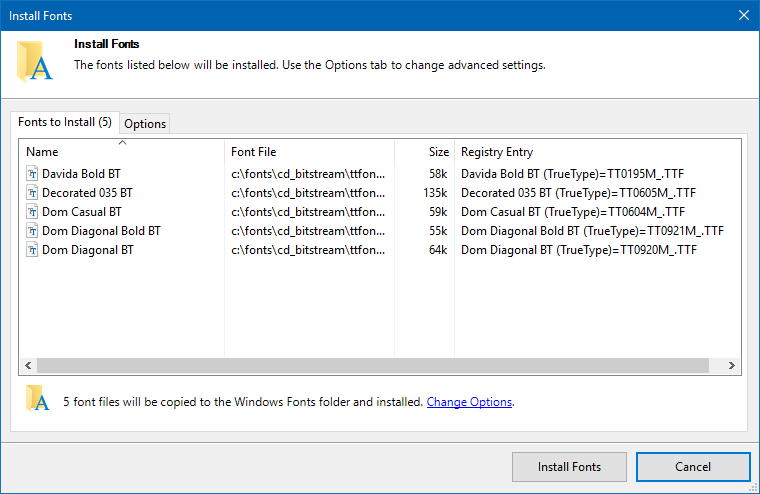 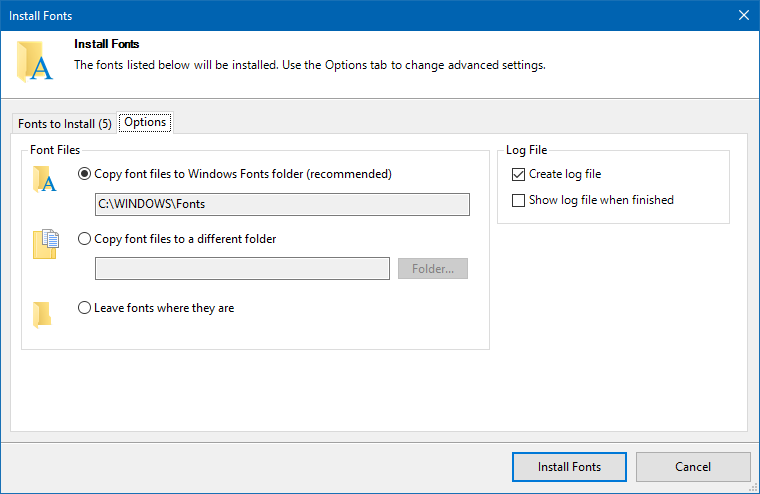 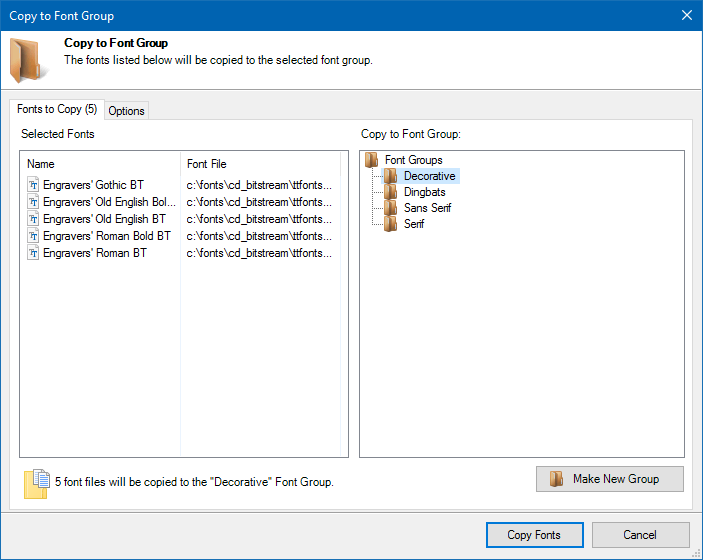 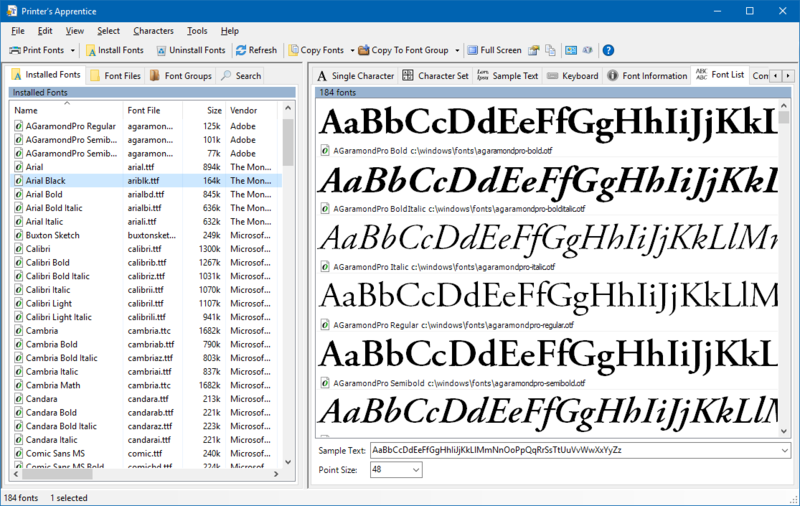 These screen shots show off various screens from Printer's Apprentice, our Windows font manager. 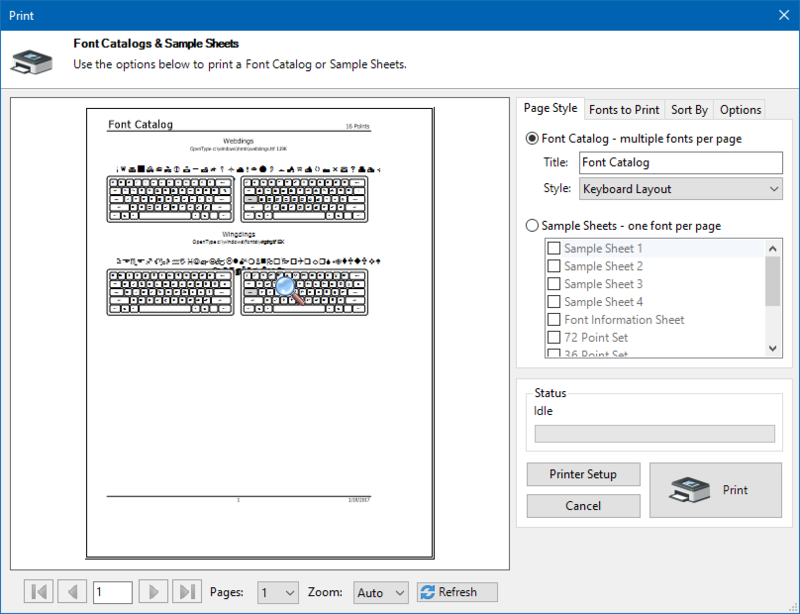 Click on an image below to zoom in and see the details of the polished user interface. 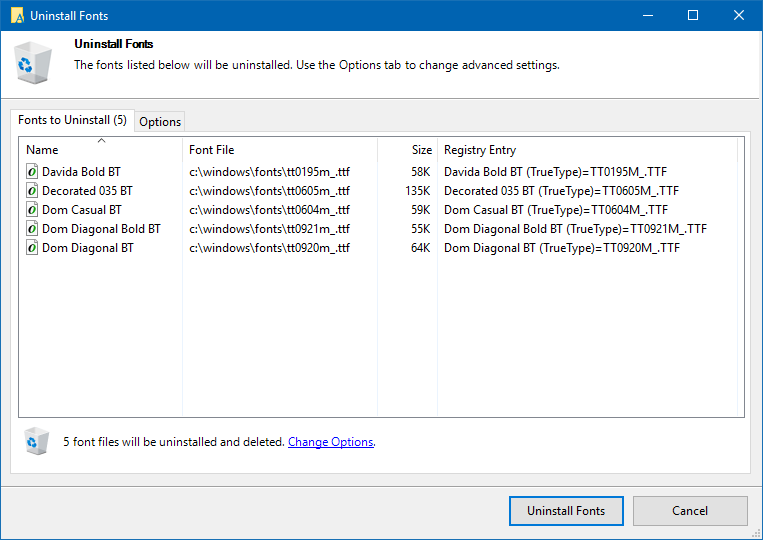 The screen shots below were taken on a machine running Windows 10. 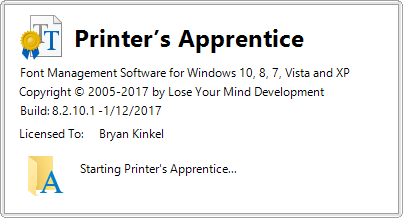 However, Printer's Apprentice runs on Windows 10, 8 & &. 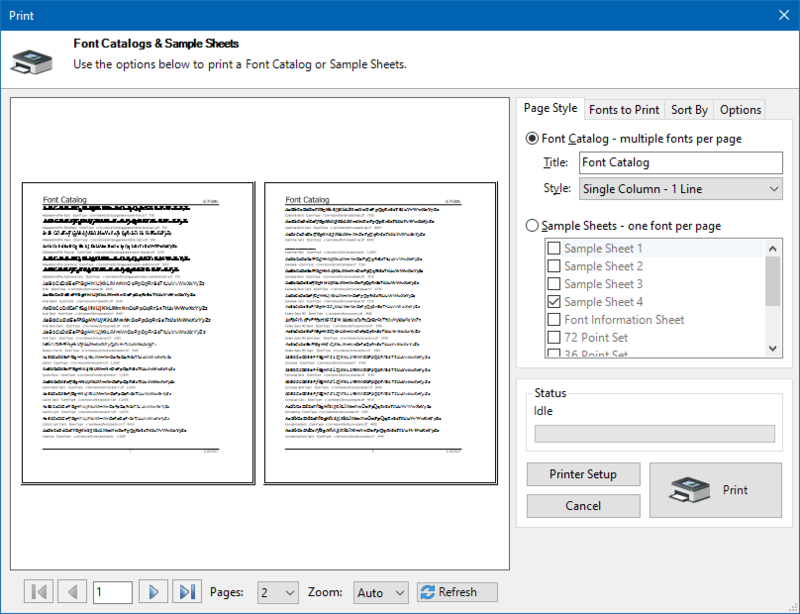 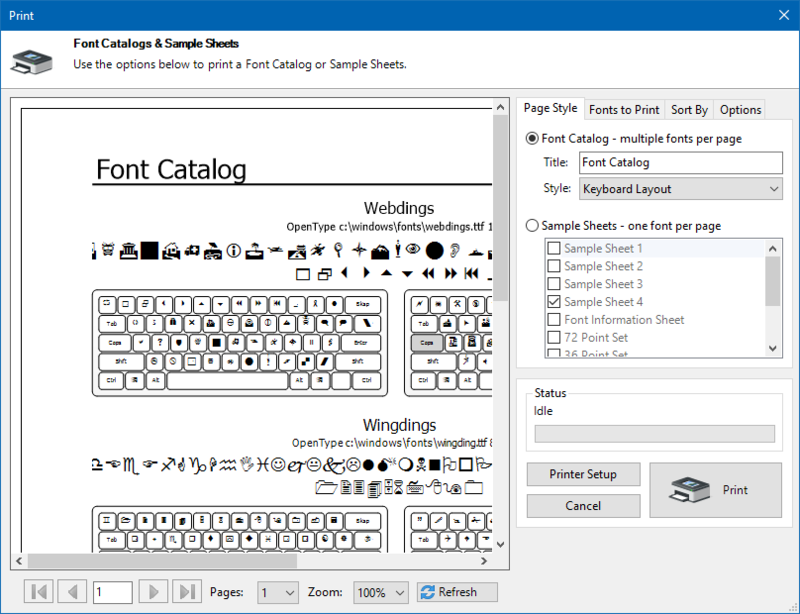 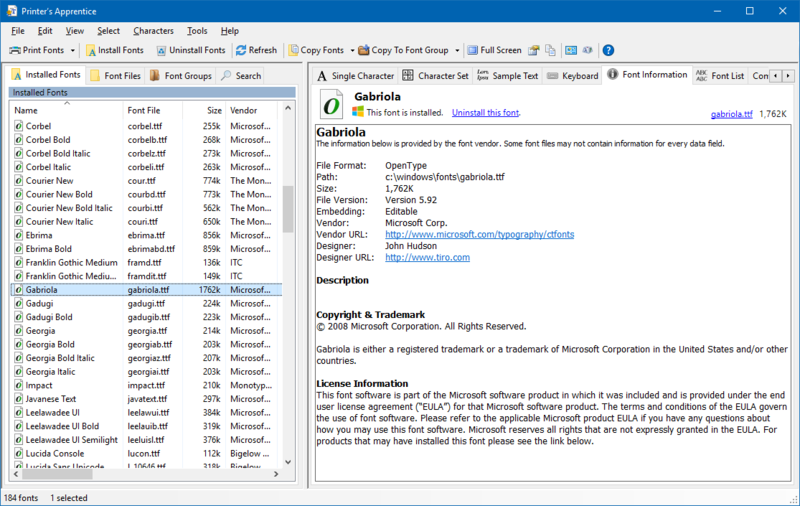 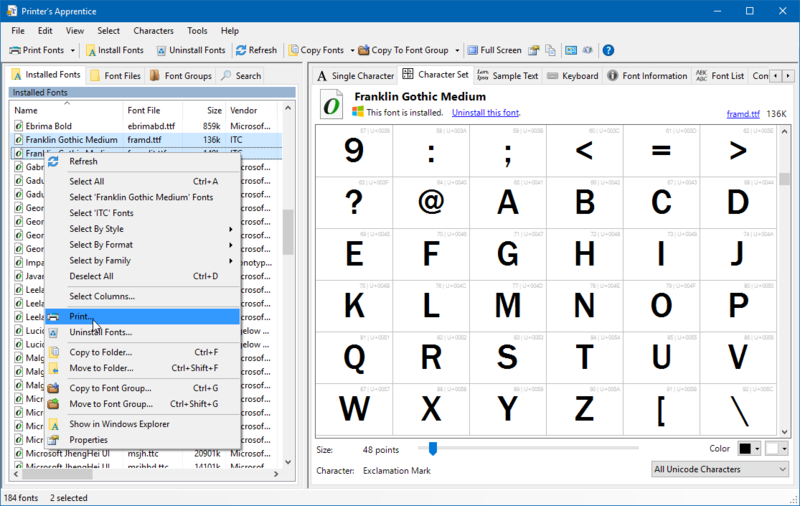 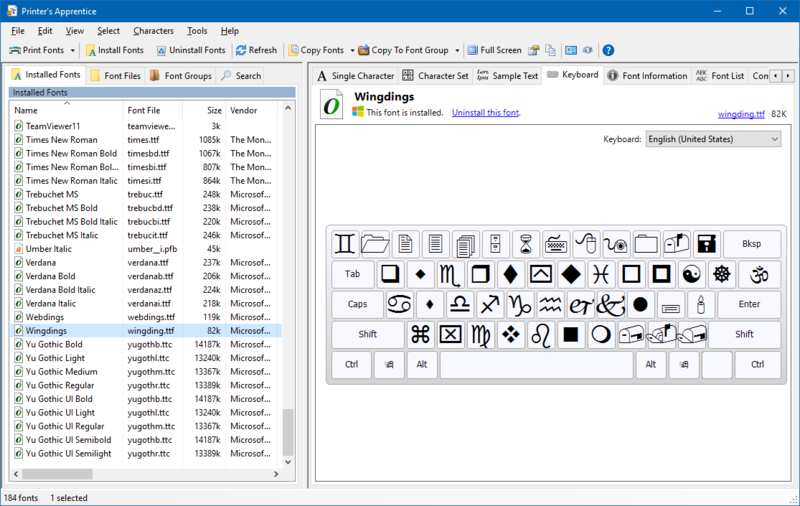 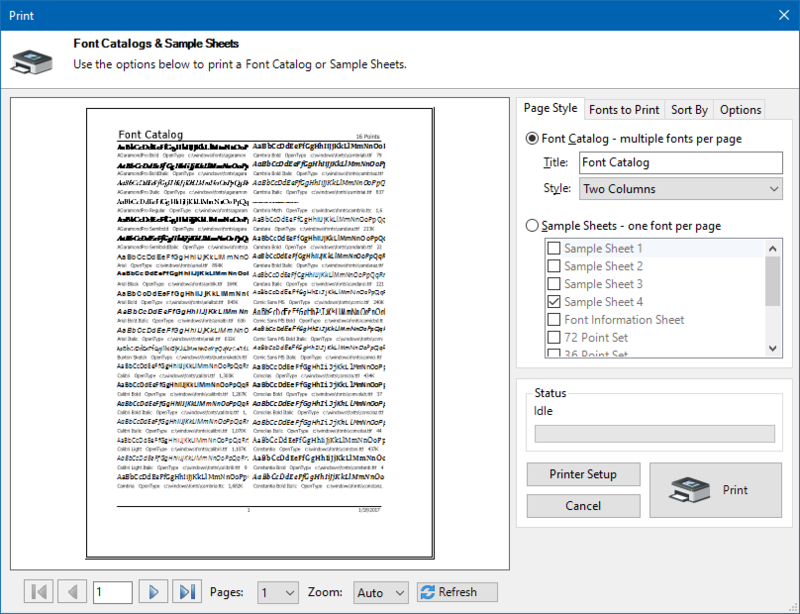 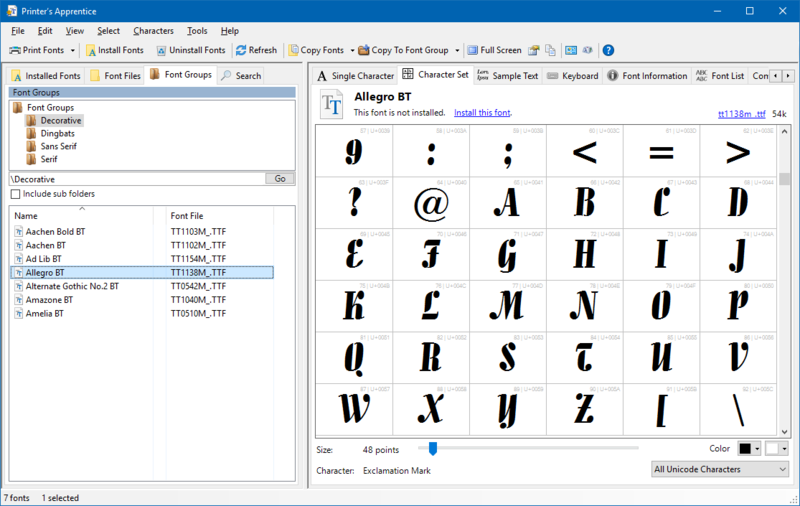 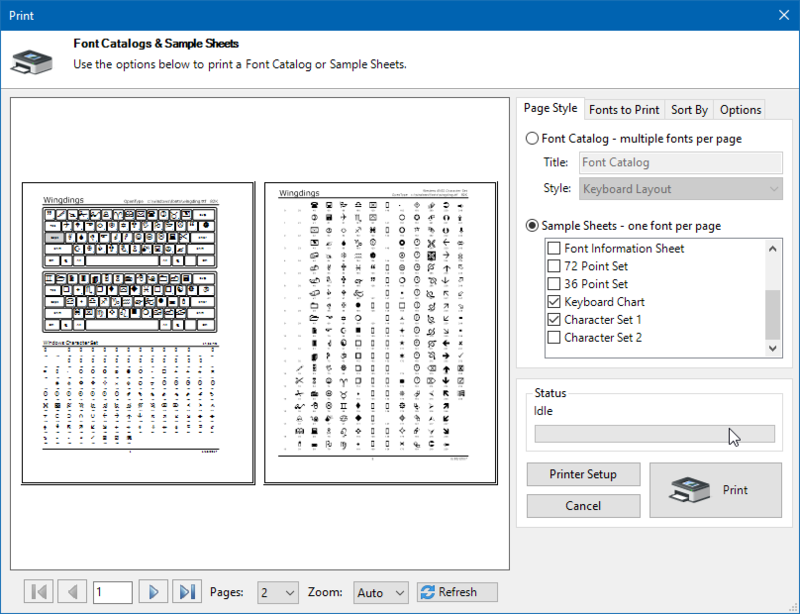 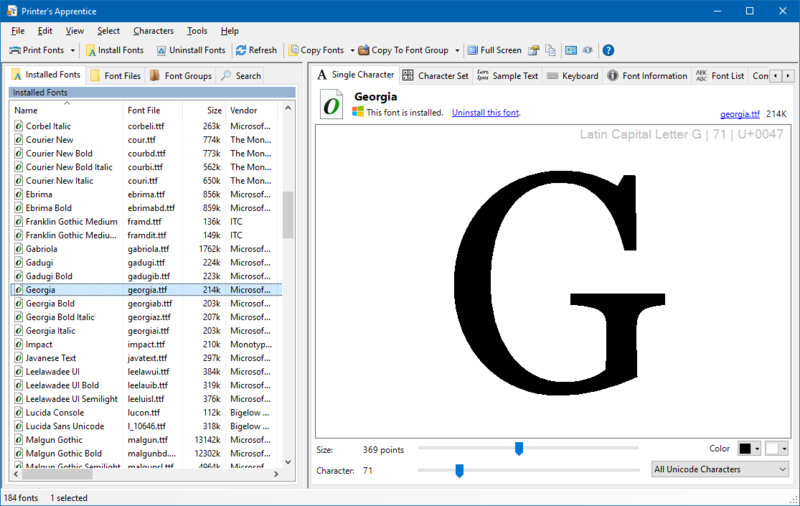 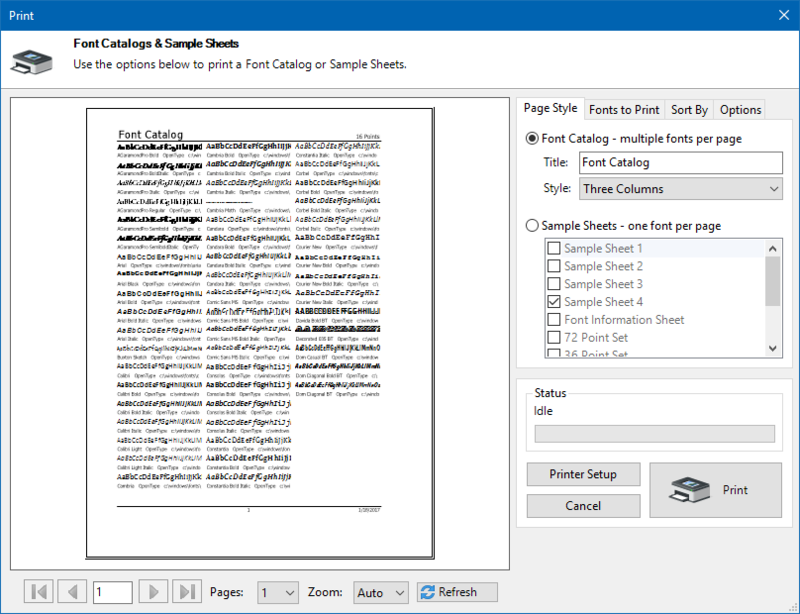 Be sure to also check out the font catalogs and sample sheets that Printer's Apprentice can generate. 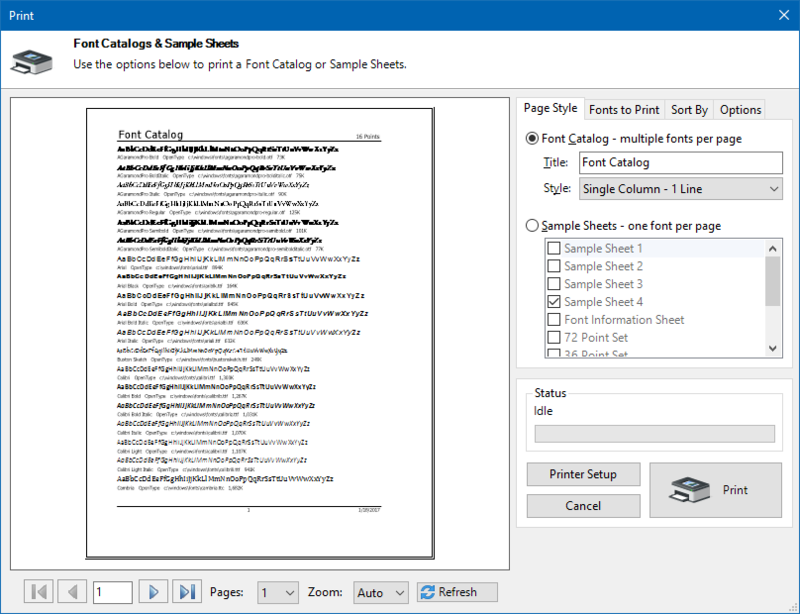 Click on a shot below to zoom in.